We have a large range of Aluminium Window Colours. It is often believed that most windows and doors come in white and some people will choose white. But did you know that Aluminium and PVCu windows in different colours are becoming ever more popular today. With a massive colour choice available as well as metallic, textured, sandstone finishes and more. 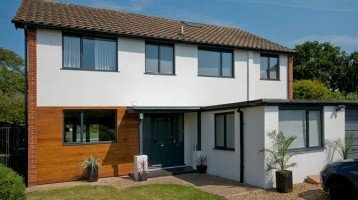 Coating methods of window and door profiles have developed a great deal in recent years and if you are looking for coloured windows these are finally within everyone’s reach. 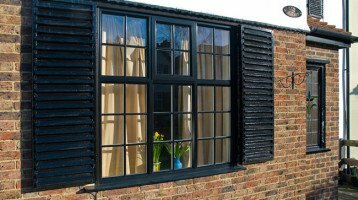 Windows in other colours are often suitable for country, traditional and older homes where new white windows can look too new and not blend in well. 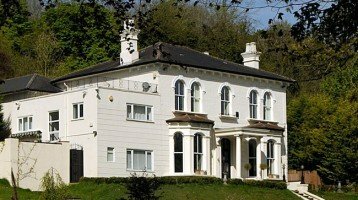 Did you know you can also get matt white in aluminium windows as well as a variety of cream colours. What are often referred to as Heritage Colours are also very popular today such as Green, Buttermilk, Sage, Cream, Off White, to name a few. These look stunning in windows for country or rural property. There are also dual colours such as black and white, wood grains with white, grey and white or a mix of any colour to suit your own needs. PVCu windows foils are especially popular and many of you will be aware of the traditional wood grain finishes. There are other foiled colours and textures now available as well, all adding to a bigger customer choice. 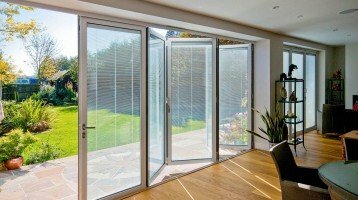 Cheam Windows offer the widest choice of coloured aluminium windows, along with Bifold doors and windows. Cheam are not tied to any one supplier and if your own home demands something else, or if you have a special design idea in mind, chances are we can create it for you. Come and see our experts at our Surrey showrooms, we’d love to see you !